Welcome to AMC Royal Hotel where the conformable hospitality as it should be. 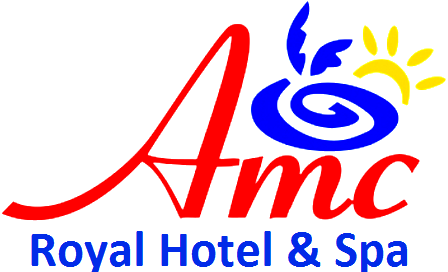 AMC Royal Hotel is a 5 stars Resort that consists of 395 rooms in 2 wings (1-5 floors) and the main building. The resort is situated on the sandy beach of the Red Sea only 11 km north of Hurghada and 13 km south of El Gouna. The resort overlooks its own spacious private beach, offering a paradise for holiday makers: sun, sand and sea. The resort is an all-inclusive property offering full board accommodation except for lobster and shrimp items. All local drinks (soft and alcoholic) are also included as well as non-motorized sports. 600 metres from Coast Line, AMC Royal Hotel features an outdoor pool and spa centre. The resort has a children's playground and views of the pool, and guests can enjoy a meal at the restaurant or a drink at the bar. Free private parking is available on site. Each room includes a flat-screen TV. Some rooms feature a seating area for your convenience. You will find a kettle in the room. Every room is fitted with a private bathroom. This resort has a private beach area and water sports facilities and car hire is available. You can play table tennis, billiards and darts, the area is popular for snorkelling. Malek Disha Dive Spot is 29 km from AMC Royal Hotel, while Abu Hashish Dive Spot is 35 km away. The nearest airport is Hurghada International.